Mt. 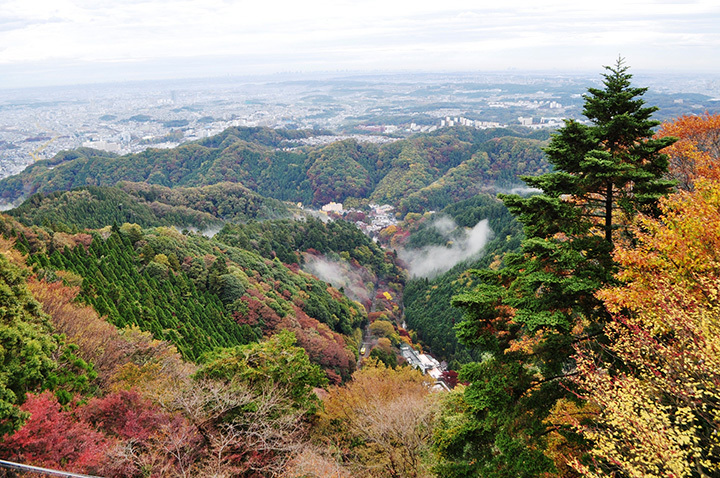 Takao is designated as a three-star sightseeing spot in the Michelin Guide. There is an old folklore that a long-nosed goblin lives in the mountain. You can enjoy local specialties, such as buckwheat noodles, and spas, as well as wonderful views, including "Diamond Fuji" (the phenomenon of the setting sun meeting the summit of Mt. Fuji) and the whole of Tokyo.